At first glance, they are a group apart from contemporary Singapore society. While the mainstream appears socialised and reserved, the caretakers of Bukit Brown and nearby cemeteries look and sound the opposite – they are tough men, loud in speech and rough in their manners. Or so it seems. In fact, the caretakers are a link between the mainstream and the margin of culture and work in Singapore. But they have fallen through the cracks of history and are hard put to find a place in any account of our past. This report attempts to reach into that past. Before they were cleared in the 1980s, these settlements provided essential funeral services for families and relatives of the dead, such as making tombstones, engraving inscriptions on the stone and selling joss. 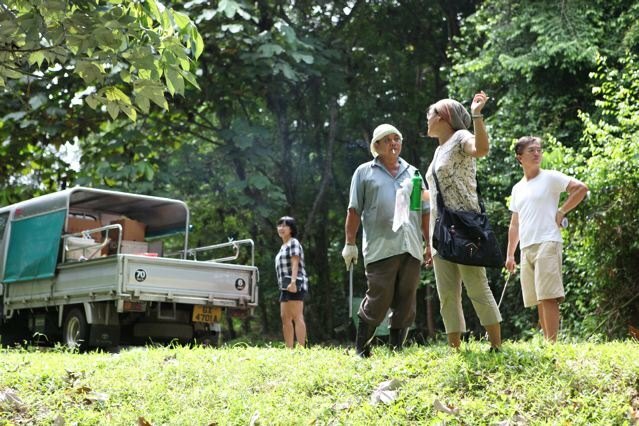 The kampongs also provided secondary services such as provisions and refreshments for visitors to the cemetery. From these villages, the caretakers tended to Chinese graves, trimming overgrown grass and weeds, cleaning and repositioning dirty and displaced tombstones, filling the earth around the graves, and repainting faded inscriptions. They are male, at least middle age but often older, with little formal education and professional skills. But besides their personal profiles, it is work that renders the caretakers out of sync with the mainstream. 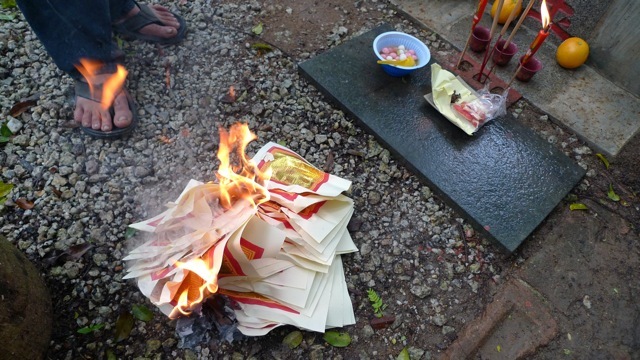 Their work is seasonal; it revolves around Qing Ming, the Chinese festival where much joss is burnt to remember and worship one’s parents and ancestors. Their work usually takes place in the short period after the Chinese New Year till Qing Ming in early April. For the rest of the year, they might partake in some of the casual, part-time work that was characteristic of the kampong economy: they might tend to home-based vegetable gardens, poultry and a few pigs. Or they might hawk fruits harvested in the locality, such as durian and rambutan, or work as caddies for golf players in the Singapore Island Country Club on the other side of Lornie Road. Or they might simply wait for the next Qing Ming. 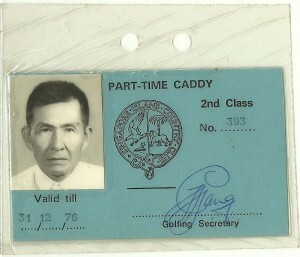 This state of under-employment among the caretakers was prevalent in Singapore for the entire period of British colonial rule. It recalls an economy and a social world which have mostly vanished due to the rapid industrialisation of the city-state in the late-colonial period and particularly after independence. As full-time paid work, in the form of white- and blue-collar employment in factories and the civil service, became the accepted norm among working-age Singaporeans, the caretakers have been displaced to the margins of Singapore’s economy. Such under-employment created an ambivalent attitude towards the caretakers, even among fellow villagers who undertook similar casual work. 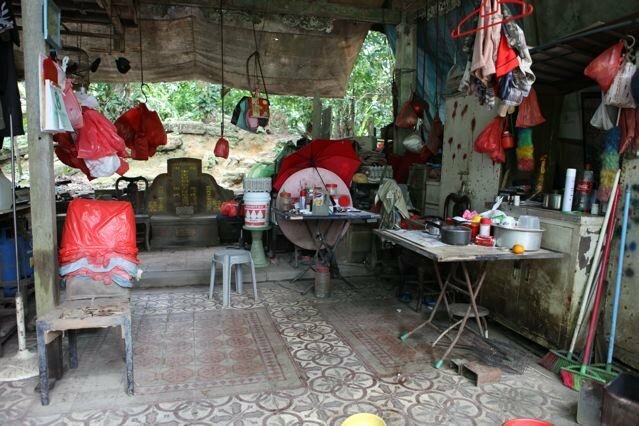 One female former resident of Kheam Hock Road Village surmised the caretakers to be ‘very lazy’, content to await the coming of Qing Ming; only then would they rouse themselves from their economic stupor to compete with one another for customers. 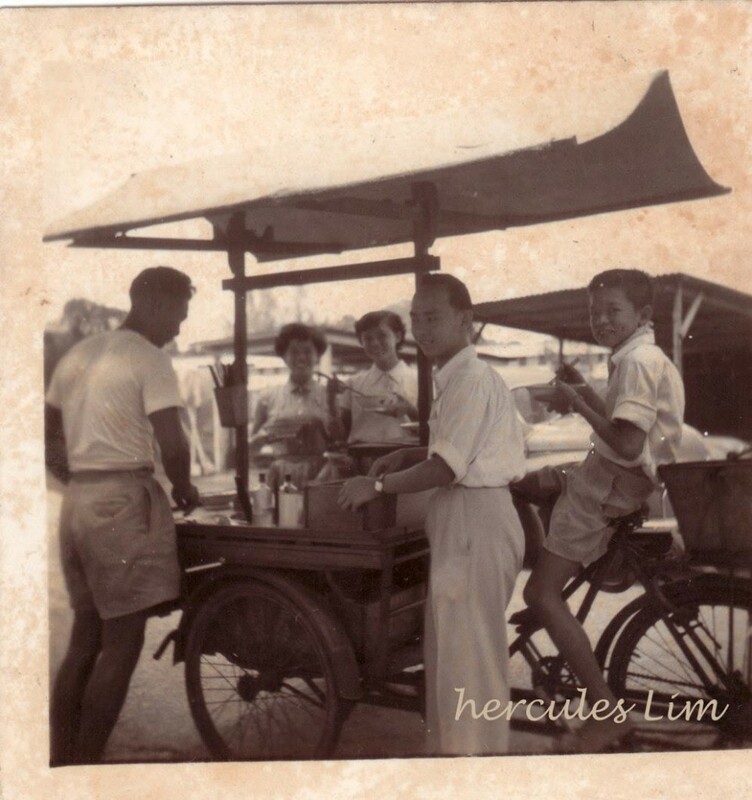 She would not have been unaware of the importance of Qing Ming in the socio-economic life of the kampong, for she also peddled drinks to visitors on that day. Another lady, who used to live in nearby Lorong Halwa Village, concurred that the caretakers would simply ‘wait for Qing Ming’ for their livelihood. Such comments by the women assume that the caretakers do not actively work – work came to them. They reflect in part the expectation, common in modern industrial economies, that men are the chief breadwinners of the household. 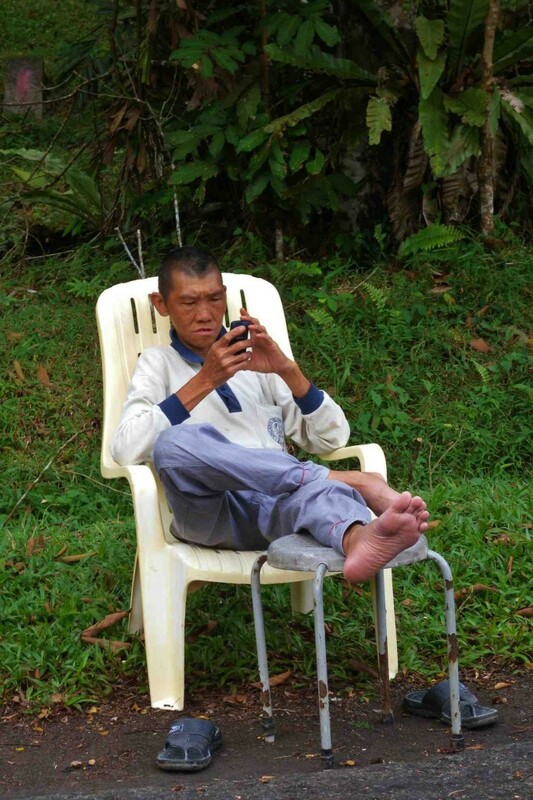 There are similar stories of men of the kampongs in the cemetery area who spent their time – and fortune – gambling, drinking and in idle chatter, while their wives and children endured poverty and hardship. But the comments about ‘waiting for Qing Ming’ also say something about the culture of work in contemporary Singapore. The women’s remarks are not just about irresponsible men, but also about the nature of casual employment, which they themselves partook. 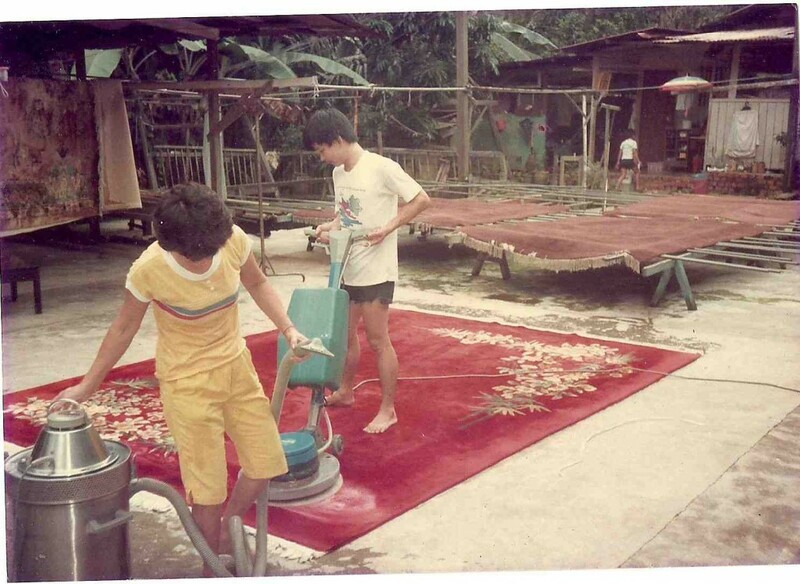 An interesting article written in 1968 by two Geography students at Nanyang University unearthed useful facets of life in Kheam Hock Road Village, such as stone-engraving and caddying. 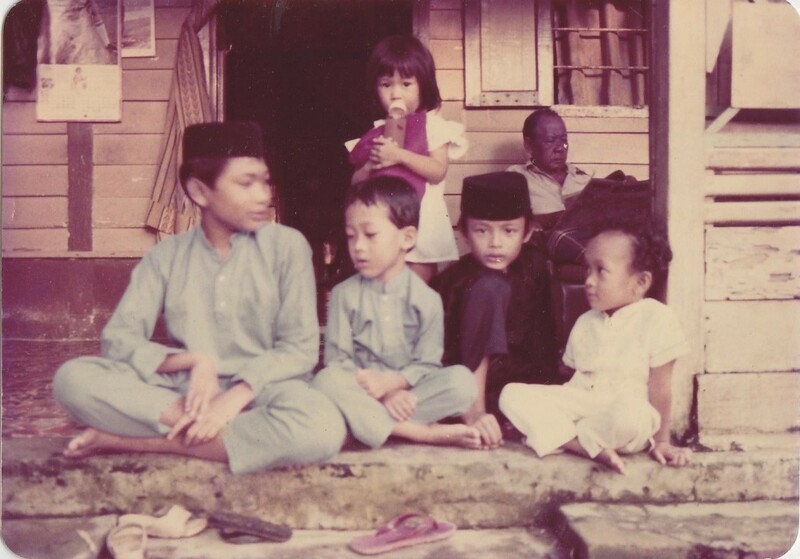 But, revealingly, the authors also urged younger residents to acquire higher levels of education, so that they could find work outside of the kampong and would not have to depend on the cemetery or golf course for their livelihood. The context in which the article was written is important: a newly independent Singapore striving to reduce its dependence on the entrepot trade and the prevalence of casual employment. The move of course succeeded tremendously. Under-employment today is often viewed as unemployment (which is also frowned upon as a sign of sloth and of a lack of individual effort). Full-time work, by contrast, is regarded as a virtue and a necessity which pays the bills, particularly for building up pension fund savings which take care of one’s housing, medical and retirement needs. The comments about ‘waiting for Qing Ming’ are not just statements about the past, but also about how the authors have been engineered into the model citizen-workers of Singapore. In fact, speaking to the caretakers today makes us realise that they are not very different from the full-time workers of the formal economy of Singapore. Many of them also possess an active and strong work ethic. 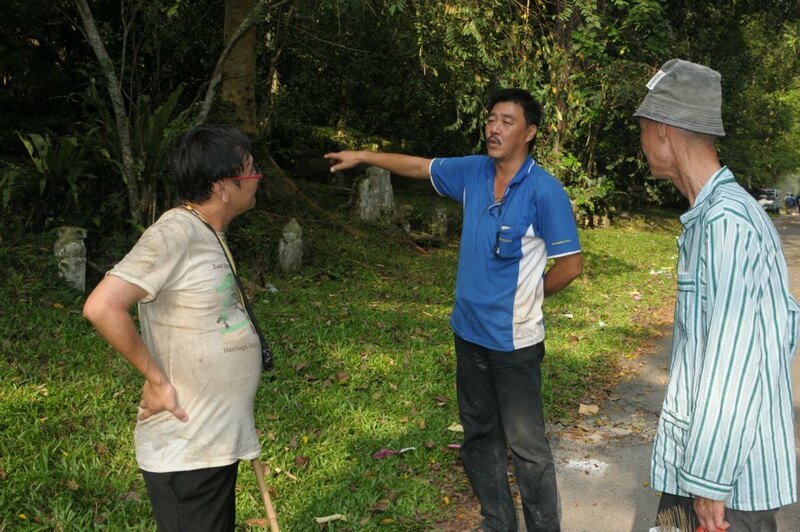 Chua Tiam Koon, 80, still tends to a small number of the graves in Bukit Brown, earning $30-40 per tomb. This is from the 200-odd tombs he was responsible for at the high point of an occupation which he took up at the age of 16. When I first came upon him at a tomb in the morning, wielding his small, fuel-powered grass-cutter, he was covered with sweat, bits of grass, crawling ants, and buzzing mosquitoes. As we sat down on the perches of the tomb to chat, he explained why he continues to work at his age – he could not stand to sit still at home. Like other caretakers, he does his work mostly in the morning, then leaves. It may be part-time work, but it is not easy. That the caretakers share a similar culture of work with full-time workers is hardly surprising. Like other villages located within the city limits of Singapore, the cemetery kampongs were urbanised settlements. They were communities with a certain degree of social cohesion underpinned by mutual self-help, but they were not insular. The roads – Kheam Hock, Lornie and Adam – linked the kampongs to the nearby golf course, the Polo Club and the bungalow houses, all of which were sources of part-time work for the residents. When the kampongs were cleared and the residents resettled, usually in public housing, their connection with the city, the state and the international economy only became stronger. To labour up on the cemetery hills, braving sun, rain and insects, is backbreaking. To work with the dead is, from the caretakers’ perspective, also risky. The men I spoke to situated their work within a specific moral universe which governed what was right and wrong. 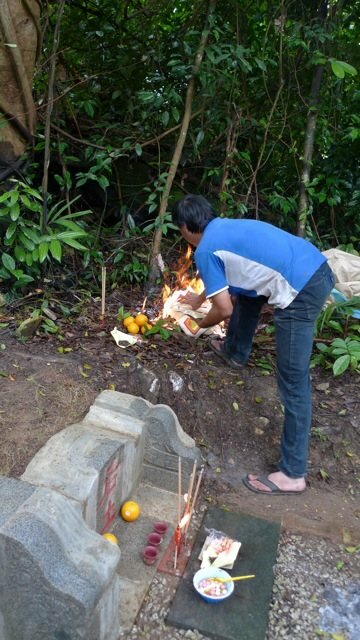 Ah Tiong, one of the youngest caretakers in the area at 42, explained that one had to pay respects to the deities (particularly the Earth Deity) before clearing the vegetation; cutting down a tree without performing such rituals was an open invitation to a personal calamity. The caretakers were not municipal road sweepers or grass-cutters. They also observe unwritten rules against pilfering when exhumation is carried out and human bones are dug up – one must, they tell me, return any jewellery and other valuables found with the body to the family. As Ah Tiong told me, in a religious sense, he did not believe in spirits or ghosts, which he claims to have seen, but the rituals were an integral part of his work. It is, he added, ‘not easy to earn money at the hill’. Formal Chinese culture typically separates the dead on the hill and the living residing on the plain. This of course renders invisible the caretakers and other residents of the cemetery kampongs who help maintain the link between the two worlds. 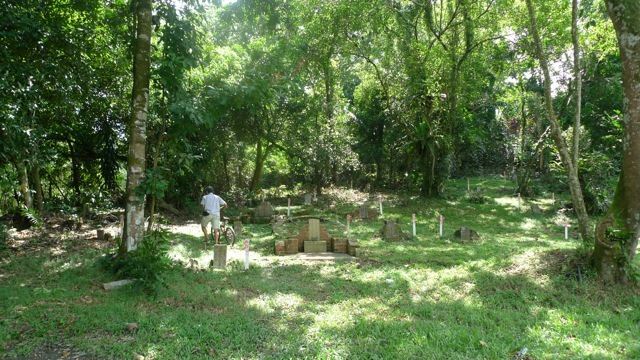 The residents regard the ghosts and spirits of the hilltops as part of everyday life, as much as maintaining the graves was part of the working lives of the caretakers. By expending their energy and sharing their intimate knowledge of rituals, the caretakers help preserve Chinese family values and bonds and the practice of ancestral worship. 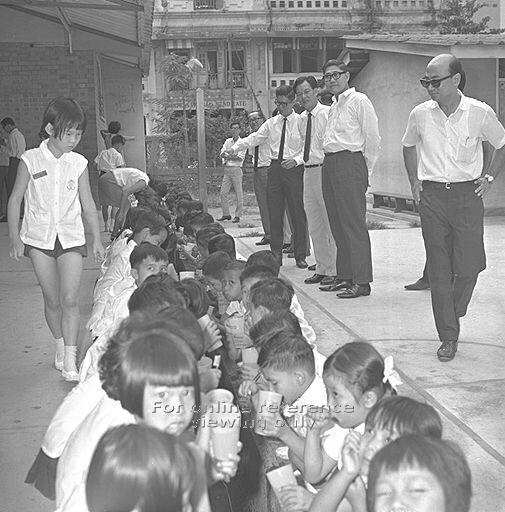 They make a contribution to the cultural life of the Chinese in Singapore far beyond their numbers and level of education. In a historical narrative that celebrates Singapore’s ascent from fishing village to world city, social value is ascribed to certain forms of work and subtracted from others. The caretakers have fallen through the cracks of our history, from which they can be retrieved only through research and by listening closely to their stories. Peering through the cracks, our past also illuminates and complicates our present: history sets our dominant values in context and helps us to understand our attitudes towards the past. (bio) Dr Loh Kah Seng, a historian, is the coordinator of the oral history component of the Bukit Brown and Seh Ong Cemeteries Documentation Project. The article is based on his interviews with former residents of the kampongs formerly situated in the cemetery area, including several caretakers. Author’s interview with Ang Choon Siew, 29 December 2011. Author’s interview with Soh Ah Bee, 21 December 2011. 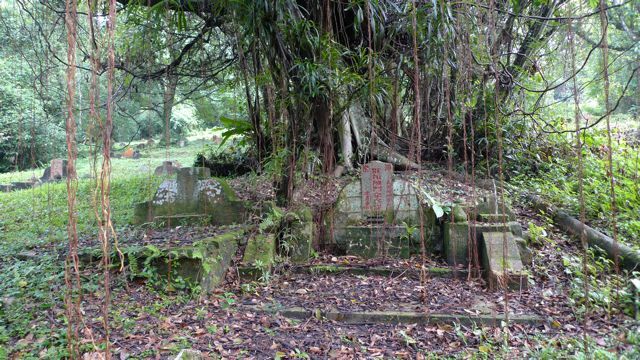 Lin Guisheng & Zhang Wenlin, ‘The Location of Graves in Kheam Hock Road: A Field Study of the Locality’, unpublished article. Author’s interview with Chua Tiam Koon, 2 February 2012. Author’s interviews with Ah Tiong (pseudonym), 17 February 2012; and Chua Tiam Koon, 2 February 2012. Author’s interview with Ah Tiong, 17 February 2012.